If your small business is structured as a limited liability company, then the cornerstone of your success is a well-written and signed operating agreement (“OA”). An OA is a written agreement among the LLC’s members that governs (i) your obligations to one another and (ii) how the LLC will conduct its business. Without an OA, Virginia’s Limited Liability Company Act (the “Act”) will govern the conduct of the LLC and any disputes among members. By design, the Act’s protections are bare bones. If you intend to be in business for longer than a hot minute, the Act is unlikely to give you the protection or structure you need. LLC’s are creatures of contract (for more on that, go here) – their purpose is to provide a highly flexible, easy to govern, and lightly regulated business relationship that limits the liability of its owner(s) (called “members” in LLC-speak). The Act’s regulatory light touch can be very beneficial but, as with any freedom, without thoughtful planning it is easy to build a business on a shaky foundation. Believe it or not, the Act does not require a LLC to have an OA and OA’s don’t need to be written down or signed by members. Remember I just pointed out that the Act is a “light touch”? Well, that’s one example. The trouble is, without a written and signed OA, other members or outsiders could claim that an oral OA or a written but unsigned OA exists. Consider, for example, one member’s heir claiming to have found an unsigned OA that assigns the dead member’s interest to the heir. A well written and signed OA would prevent that from happening. If a manager operates your LLC, then ANY agreement between you two relating to the affairs of the LLC and conduct of its business could be construed as an OA. As I mentioned above, an OA may be used to give rights to non-members. This plus the broad definition of “operating agreement” for single-member LLCs opens the door to third parties claiming rights that you never intended them to have. Keep that door shut with a well written and signed OA. Finally, a written and signed OA provides clear documentation as to who the member is, what he contributed to the LLC, and what his rights are. If, in the future, partners join the LLC then a thoughtfully crafted OA can easily accommodate this growth. Do members have a right to resign? If so, what does that look like? How can that be structured so that remaining members aren’t unreasonably damaged? How will distributions be divided among the members? Will the LLC opt for taxation as a partnership? Will it make distributions to members to cover their tax liability from LLC income? If the IRS comes calling, will one member be designated as the spokesperson for the LLC? If members can assign their interest to a non-member, then does that non-member become a member after the assignment? If so, how does that work? Will the LLC be managed by its members or by a manager? If the LLC will be “manager-managed” then who is that manager? What powers does she have? How can she be removed as manager? The Act ensures that members and managers are liable to the LLC under certain circumstances. An OA can reduce manager or member liability to the LLC beyond the Act’s default rule. Should a manager or members have a duty of loyalty or other fiduciary duties beyond what the Act imposes? Are members required to make additional contributions in the future? If the LLC runs short on capital, are members obligated to provide more funding? If so, how will that work? If minority members will play a limited role in operating the LLC, then you have an additional consideration. State or federal securities laws may govern their membership. Think about it . . . if members provide capital and passively allow other members to run the business, then arguably they are investors. Laws entitle investors to certain protections and LLC’s that fail to consider this may find themselves liable for violating securities laws. Quite simply, there is no substitute for a carefully drafted OA written by a lawyer who understands the unique ways your LLC will operate and what your goals are. Please note that this post is intended to provide general information and is not actionable legal advice. 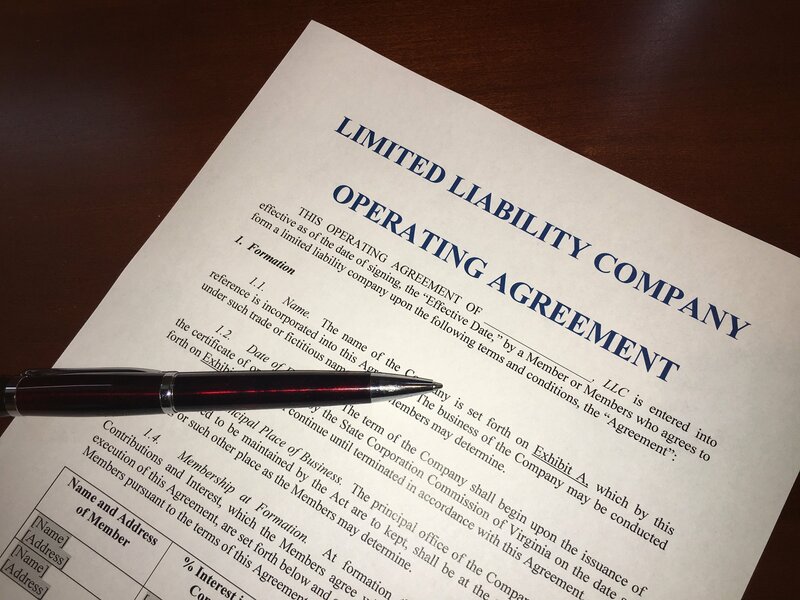 If you would like to discuss LLC operating agreements, call us at 804-931-1158. Stay tuned for LLC Blog Series #3!